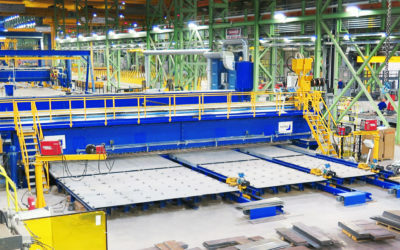 Double welding machine panel lines and coil shops require efficient tube lines. Typically, raw tubes are a maximum of 12 meters long and can be extended up to 30 meters by tube panels or over 100 meters with coil welding. This means several joints to the tube and often a 100% inspection rate. A productive tube shop demands a high degree of automation. 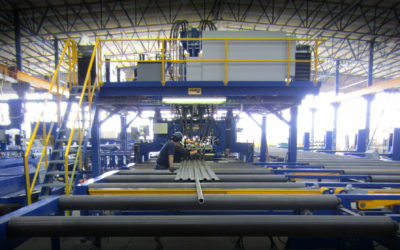 With PEMA’s tube shop, one operator is capable of handling the whole system in one shift. Capacity can be defined according to the customer’s needs. Preset parameters ensure a reliable process without the possibility of human errors during the welding and cutting process. 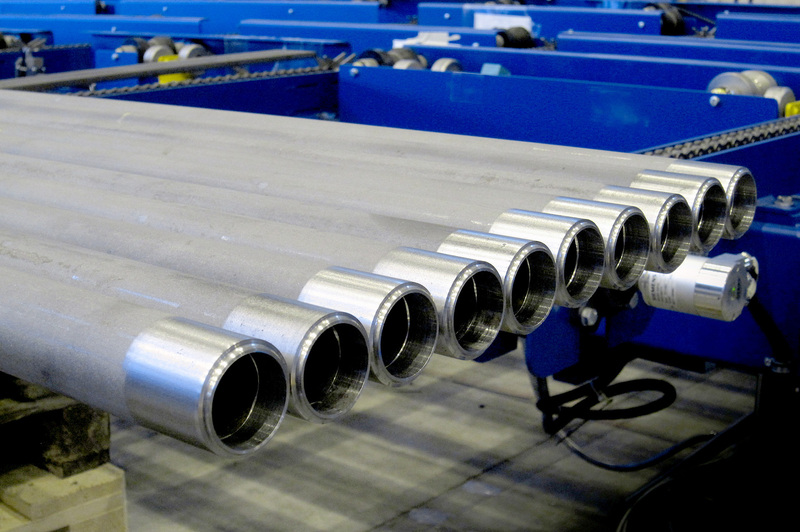 Repeatable functions without interruptions guarantee solid and reliable quality of the tubes. 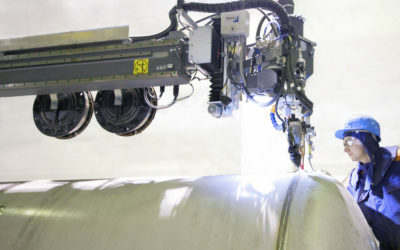 The tube line can be fully integrated with blasting, grinding, cutting, measuring, beveling and buffing processes. 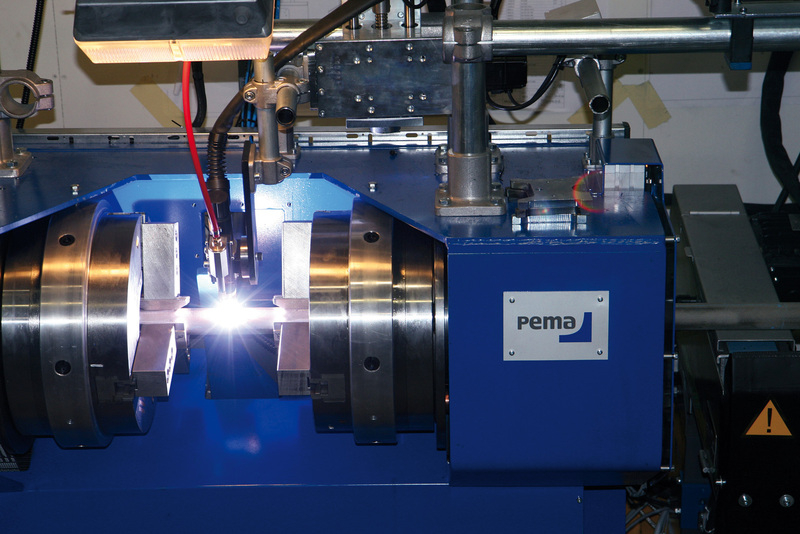 Defect-free welding combined with a high inspection rate demands reliable processes and system control. All PEMA tube line machines are designed to meet these requirements without any compromises. The joint preparation is carried out with special tools, designed specifically for certain types of joint. Welding is performed with a hot wire TIG, enabling high deposit rates. The welding control system has a wide range of parameters which can be adjusted to achieve the best possible result. 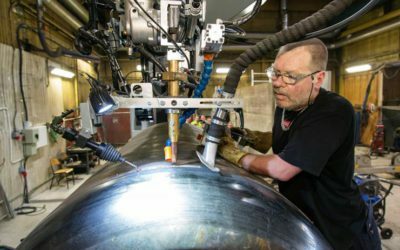 One welding lap can be divided into several smaller sectors to fine-tune the parameters for even the most challenging materials.